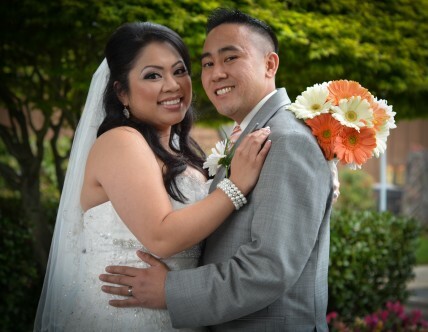 Yesterday we traveled to Folsom to celebrate Rosemarie and Chester’s wedding at Lake Natoma Inn. After 10 years of dating, and two kids later, these two decided it was finally time to make it official on the 10th anniversary of them becoming a couple. Their ceremony and reception was held inside Lake Natoma’s Sierra Ballroom and luckily we dodged some rain so we were able to take advantage of the beautiful surroundings that Lake Natoma Inn offers. I’d offer these two good luck for their future together, but I don’t think they’ll need it. They’ve already been together as long as my husband and I have been together and after 10 years and two kids, they definitely have what it takes for a lifetime of love. New for 2012 we have been selecting a “Memorable Moment” clip from each wedding. The idea is to provide a clip of something that everyone would be talking about the next day. Well the selection from this wedding was a no-brainer – it’s the cutest clip you will ever see of their son Noah slow dancing with both of the flower girls. Rosemarie and Chester actually weren’t around to see this priceless moment – they were busy taking photos with their guests, but I’m sure they’ve heard all about it. Yet another reason why it’s a good idea to hire a videographer – there are so many magic moments that happen during a wedding that a bride and groom aren’t there to experience. I love how Noah is playing it cool because you never want the other person to know how much you are in to them! And the thumbs up signs are priceless! Enjoy! After a six week hiatus (yay for some downtime! 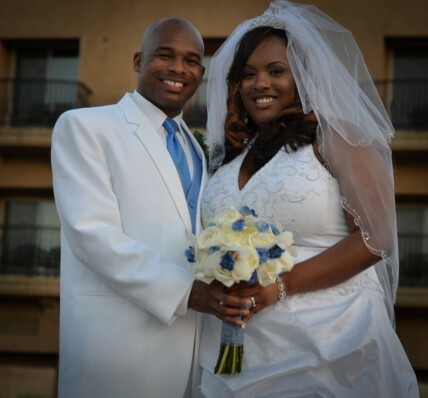 ), we got back into the swing of things and shot Antoinette and Mashon’s beautiful wedding at Le Rivage in Sacramento. They are very nice people and that was definitely rewarded yesterday as they got some of the best weather one could hope for on their wedding day. Who would have thought on March 4th we’d have beautiful 75 degree weather with no wind along the river? Le Rivage’s outdoor ceremony site made for a beautiful setting for their vow exchange and the ballroom was transformed into an elegant setting thanks in part to their full service event planner, A Berry Special Event. The couple is headed off for a week of rest and relaxation and we’ll get right to work on their wedding video. It should only be about two weeks and then they’ll be able to experience their special day from beginning to end.